A pressure washer is an essential tool in cleaning whether for commercial or home use. 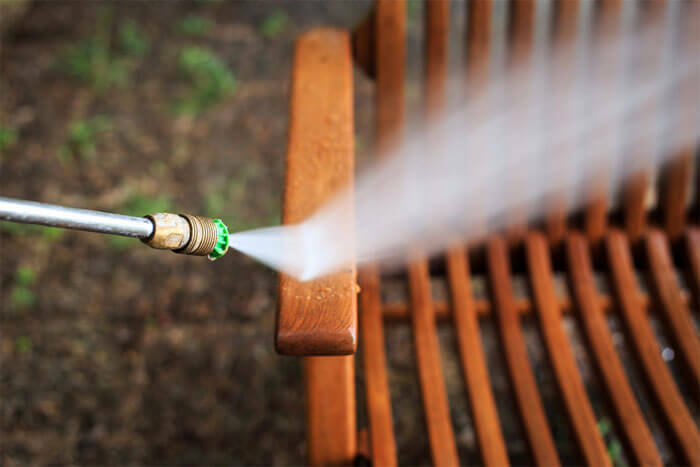 Pressure washing is a hit because it does wonder in keeping everything clean, including driveways, patios, lawn furniture, and even hard-to-reach areas in your property. Pressure washers are powered either by a gas engine or electric motor. Pressure washing with a garden hose makes use of a high-pressure jet to knock off dirt away. And since it only makes use of water, it doesn’t cause serious damage on surfaces. This type is used for cleaning outdoor furniture, small patios and decks, and for car washing. It has uses 1300 to 1900 PSI. 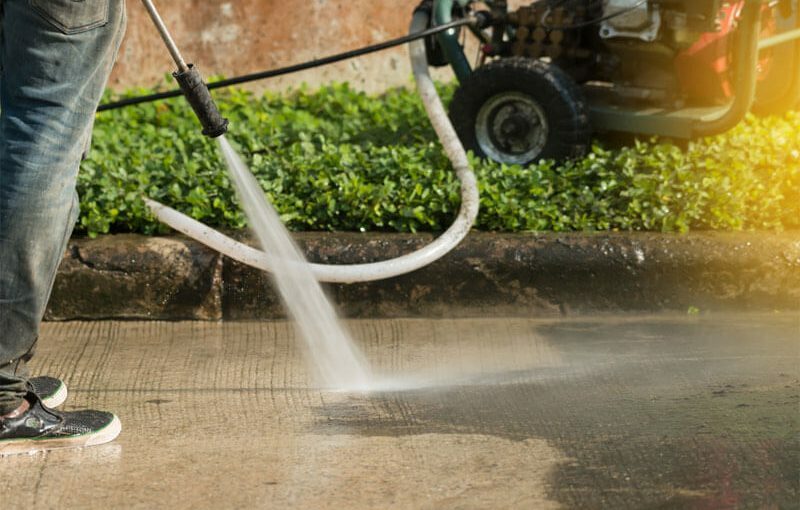 Thinking of what is the best pressure washer for driveways? This type of pressure washer will work for you. Its cleaning power ranges from 2000 to 3100 PSI. On most 2000 PSI pressure washer reviews, this type is recommended for both home and business use. This type is considered the best electric high-pressure washer in the market today, and it is highly recommended for commercial use due to its maximum cleaning power. The pressure range of this is 3200 PSI to 4200 PSI or more. To be able to get its maximum benefit, the pressure washer should be used and handled properly. Each pressure washer machine differs from one another, but it follows the same instructions on how to use them. Take a look at our quick guidelines and learn how to use the machine properly and efficiently. Assemble the pressure washer according to the manufacturer’s instructions. For electric pressure washer, connect the high-pressure side of the hose to the pump and the other side to the water supply. Connect the power cord to an electric outlet. Switch on the power switch, then pull the string to start the engine. Turn on the water source. Make sure that you open the water source first before turning on the machine to avoid damaging the pump. If at first, you do not get enough water from the water source, do not be confused. This happens because the pump does not contain water yet. When you reached the desired water level of the machine, pull the trigger and start spraying on dirty surfaces. 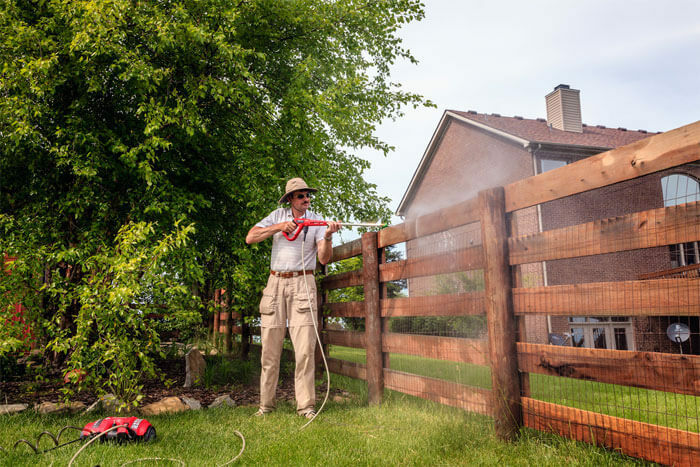 Pressure washing the fence once in a while will make a huge difference. If you wish to change the nozzle, stop the spray gun, remove the old nozzle, and attach a new one. When spraying, always keep the spray gun at least ten to twelve inches above the surface at a 45-degree angle. Hold it firmly to avoid slippage from your hand. To effectively clean the surface, move the spray from one side to the other until you have fully covered the entire area. To clean dirty corners, you can use the 0-degree nozzle. Once you are finished, unplug the cord and disconnect the garden hose from the water supply. Spray it one more time. This is to empty the remaining water from the pump. Dry the machine properly and keep in the storage area for future use. For gasoline-powered pressure washer, you can empty the fuel tank if you will not use the machine for a long time. The green spray nozzle is commonly used for general cleaning. Pressure washers are a great tool for cleaning if used properly. Just like any other types of equipment, you need to take safety precautions in operating the machine. Always read, understand, and follow the manufacturer’s guidelines. Wear protective equipment like goggles, gloves, and closed-toe footwear to avoid the accidental direct spray. Place the pressure washer on a flat surface before using. Never point the spray gun at people as the pressurized water stream can cause serious cuts on skin. Move out any breakable objects from the area you are about to clean. Never allow children to play with the pressure washer. Avoid spraying on areas with an electrical socket or power lines. Use the trigger lock when the spray is not in use. Do not use the gasoline pressure washer in an enclosed area. Allow the engine to cool down before storing. Pressure washing with a garden hose is indeed a great way to aid in cleaning dirty area of your home properly and effectively. Having a good knowledge on the proper use of the pressure washer keeps you from damaging surfaces and risking yourself to injury. Always remember, safety first. Outdoorgardencare.com is a participant in the Amazon Services LLC Associates Program, an affiliate advertising program designed to provide a means for sites to earn advertising fees by advertising and linking to Amazon.com. Additionally, Outdoorgardencare.com participates in various other affiliate programs, and we sometimes get a commission through purchases made through our links. COPYRIGHT © 2019 · OUTDOORGARDENCARE.COM , ALL RIGHTS RESERVED.